We are therefore petitioning for the retirement of the SSC guidelines. In its place, we would call for the development of separate sepsis guidelines by the United States, Europe, ANZICS, and likely other locales as well. There has been a monopoly on sepsis guidelines for too long, leading to stagnation and dogmatism. We would hope that these new guidelines are written by collaborations of the appropriate professional societies, based on the highest evidentiary standards. The existence of several competing sepsis guidelines could promote a diversity of opinions, regional adaptation, and flexible thinking about different approaches to sepsis. We are disseminating an international petition that will allow clinicians to express their displeasure and concern over these guidelines. If you believe that our septic patients deserve more evidence-based guidelines, please stand with us. Hicks P, Cooper DJ, Webb S, Myburgh J, Sppelt I, Peake S, Joyce C, Stephens D, Turner A, French C, Hart G, Jenkins I, Burrell A. The Surviving Sepsis Campaign: International guidelines for management of severe sepsis and septic shock: 2008. An assessment by the Australian and New Zealand Intensive Care Society. Anaesthesia and Intensive Care 2008; 36: 149-151. Dellinger RP, Levy MM, Carlet JM et al. Surviving sepsis campaign: International guidelines for management of severe sepsis and septic shock: 2008. 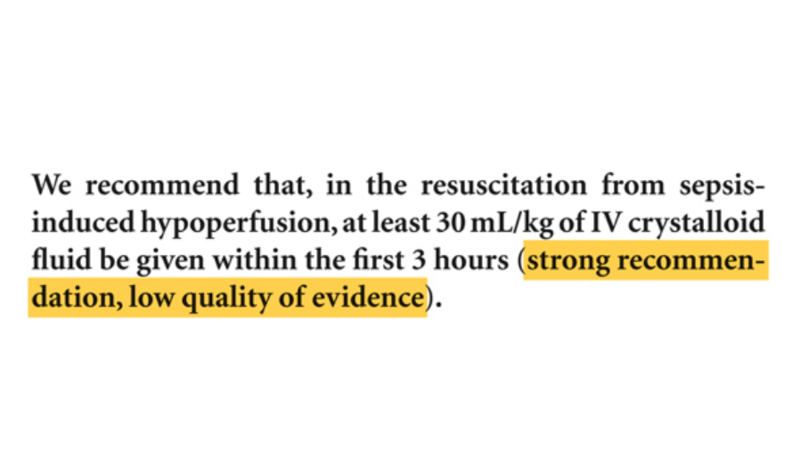 Intensive Care Medicine 2008; 34: 17-60. Please circulate the petition. Maybe I passed over it and will recheck. Thank you for highlighting this gross oversimplification of sepsis care. Tragic when we find some hospitals, organizations, etc accept guidelines without concern. If medicine is part art then we are reminded by Albert Camus that we need to question these ‘truths’ and our opinions concerning bastardized guidelines need to be voiced. Thank you again….